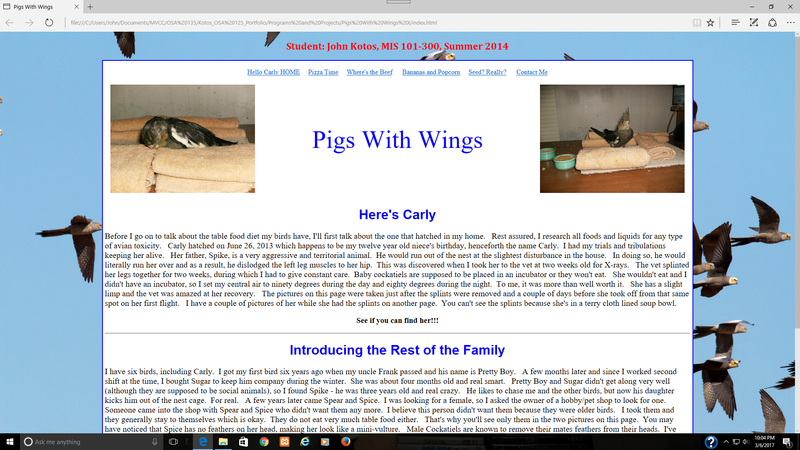 The first site is my first site that I made for an Internet technologies class and is called "Pigs With Wings". This particular site has no cascaded style sheet. 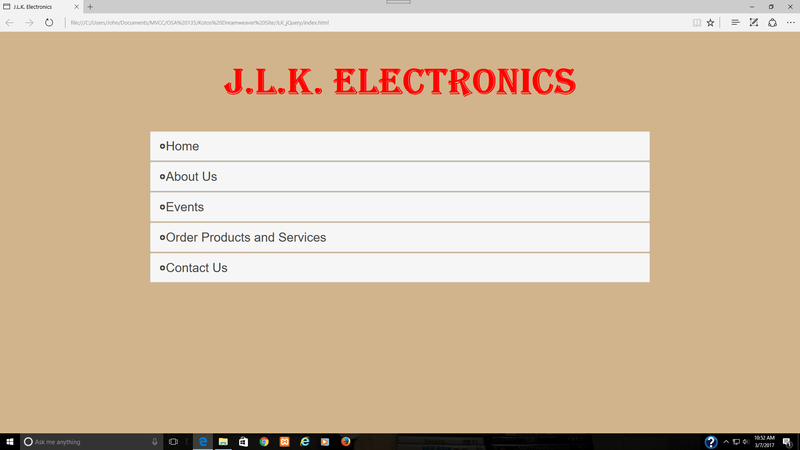 All the styles are placed within the HTML code. 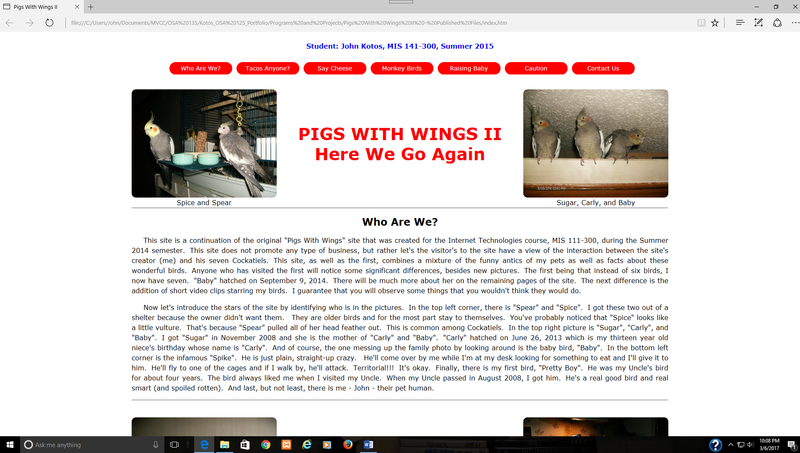 The second site, entitled "Pigs With Wings II", was for a HTML5/CSS3 class. This site introduced the use of a cascaded style sheet.